With the release of his third novel, The Frontrunner, Merrill Lynch Vice-President, Paul Kilduff, looks set to take the world by storm and emerge as one of the best thriller writers of his generation. 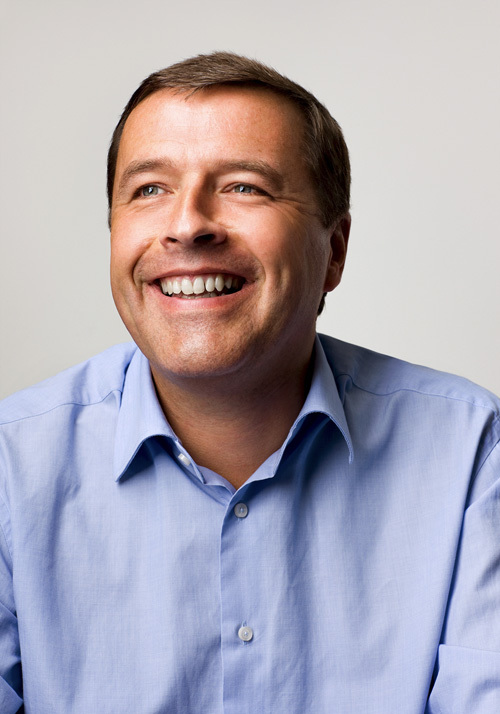 He talks to Mike Stotter about what makes him more than just another City-based writer. This is not an easy task with so many important characters and storylines running throughout the novel. Lesser writers would have lost at least one of the threads but Kilduff is adept at juggling and retaining control of a complex plot. “I do it on a one page Excel file. A sideways A4 page. I plot down the left-hand side, say 30 chapters, and I have four scenes in each chapter which gives me about 100 scenes. Each scene is 1,000 words. That’s the book done. “Basically, I write the scenes I think are right and I move them around this template. On the right-hand side, I write a column for each of the main six or seven characters – whether they’re in the chapter or not. Jonathon (the main character) is in each of the chapters at the very start, whereas Lauren (the feisty Frontrunner – a term meaning to buy stock ahead of your clients, thereby profiting from their buy) is not. I make sure characters are in scenes and I develop them. Whilst stockbroker Lauren is almost stereotypical in her attractiveness (which Kilduff excuses as being typical, not of his imagination, but the City itself), the au pair is not. “I think it’s easier with a female character to make her appealing to men and to make her attractive. But the au pair is not an attractive woman. I think you have to break the stereotype. People at Jonathon’s work might think he’s got a Swedish nanny at home and she’s 18 with long, blonde hair but I think it’s quite important to break the mould and she’s actually a bit different, a bit of a battleaxe. It’s easier to do it with a nanny [than a stockbroker]. You can’t imagine a fifty-year-old saleswoman who’s as tough as boots and who competes with the men.” Eva is not the only atypical character, Jonathon has to juggle a high-flying career with raising two small children after his wife died of cancer. There is a fear that readers can identify too much with contemporary thrillers if the events turn into reality. The Frontrunner is set in several cities, including New York, in a world about to face a global meltdown unless the main players can stop it. With the events of September 11th and the on-going threat of a world-wide recession, is Kilduff worried that the readers might not want to read about their reality – or would this encourage them to buy the timely novel? “It’s a global book, it’s about critical mass, about a wide canvas where people are coming and going and meeting different people and lots of events have an international, knock-on effect. If you were an average punter in the world and that was happening, you would find your savings disappearing, stock markets collapsing, people queuing in banks to get their money because things are going to the wall. People would be panicking. “When it comes out in paperback (in March), I think I might take out one or two little mentions of the World Trade Centre so it doesn’t actually feature. By September 11th, the book was already a done deal – it had already gone to press. It could have been worse, I could have written the main guy actually worked in the World Trade Centre. Three Merrill Lynch people died there. 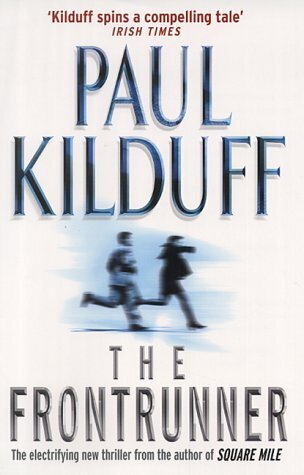 The Frontrunner is also a novel with humour and shows how far Kilduff has developed as a writer. His desire to grow with each novel will be seen with his ground-breaking fourth novel, the aptly named Head-Hunter. Set in the City, it follows a recruitment advisor and one of his clients. It’s also Kilduff’s first attempt at writing about a serial killer. If The Frontrunner will establish him firmly as one of the best thriller writers of the century, The Head-Hunter promises to take him beyond that. A heady-paced thriller with interweaving plotlines and well-written characters establishes Paul Kilduff as one of the best new thriller writers. Set in the financial markets, this is not a book about the threat of recession but just how far people will be driven by greed. From suicide to attempted murder, only the beautifully named Phat Cat emerges unscathed as Kilduff spins his tale with the hands of a master. This Irish writer has come into his own. The assassination of the Chinese Premier and subsequent execution of his murderous pensioner set a train of events into motion from the threatened collapse of the world markets to the secret plot of the world’s financial leaders to rescue the economy. Mix in some crooked deals and heady sexual attraction, exotic locations and believable characters and you have one of the best thrillers to be written in a long time. Kilduff is possibly the best thriller writer this side of the Atlantic – and definitely the best Irish one ever. It’s only a matter of time before he conquers the US market – and so he should. The Frontrunner uses old-fashioned techniques of characterisation, plot and pace to create a modern-day thriller and profound warning against greed. Although, frontrunning does sound like rather a nifty way to make money . . . Quite simply, a first-rate novel from a first-rate writer.